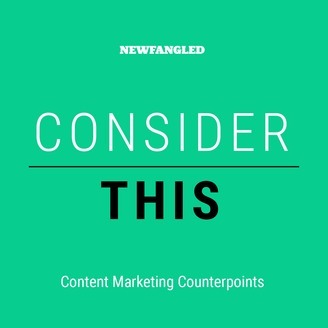 Consider This is a podcast designed to unpack common misconceptions about content marketing today. Farewell, dear listeners. Consider This was born out of the need to address a fundamental misunderstanding of content marketing today. Since then, we've evolved, addressing all kinds of digital marketing trends, and will be joining forces with our flagship podcast, Expert Marketing Matters. 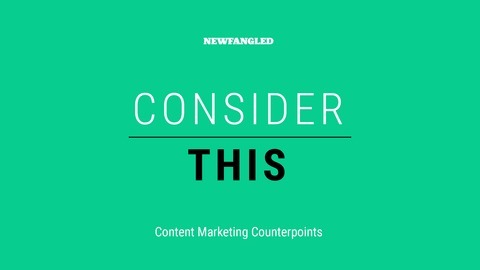 Subscribe to Expert Marketing Matters and reach out with questions, comments, and suggestions by emailing podcast@newfangled.com.